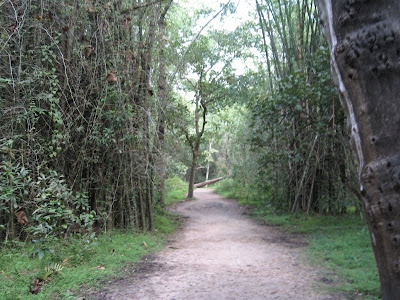 Part1 of the Wayanad trip is here. Continuing after that, Nidhi was the first one to wake up next morning. When it was about 6 30 am everyone was inside the four wheeler to reach first destination of that day, Lakkidi. Within 15 minutes of drive from Kalpetta, we were in Lakkidi. Lakkidi is the top most view point overlooking the mountains below. 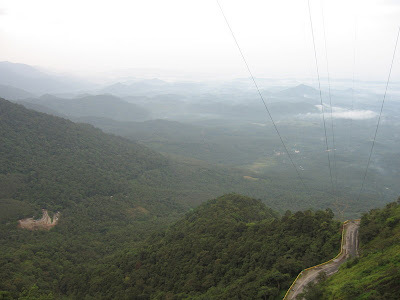 If you are driving from Kalpetta towards Kozhikode/Calicut, you will be reaching Lakkidi just crossing the Wayanad district border, covering 1-2 hair pin turns across the ghats. 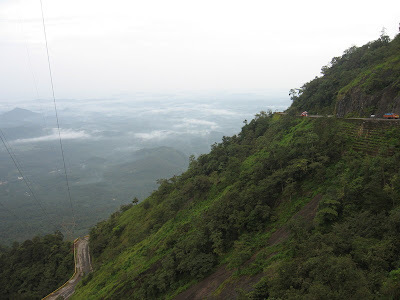 Only if you are arriving from Kozhikode/Calicut side you will have to travel all the way from down to reach the view point at the top of the ghats. I must say Lakkidi is one of those breath taking view points which makes the valley down the hill and mountains across the region so small in size. Vehicular movement in ghat turnings too can be viewed as tiny toys moving across. Interestingly Lakkidi is also one of the places which receives highest rainfall in India. After spending some time in Lakkidi and wondering at the sheer beauty of mother nature, we were on our way back. We had in mind prospects of visiting Pookot lake at around 8, but to our dismay lake opens to tourists only after 9, so we were back in the hotel. After finishing breakfast at the hotel and checking out from there, we reached Pookot Lake at around 10. 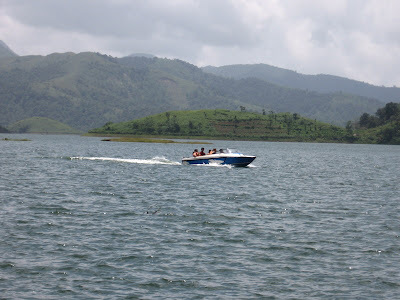 Here, you can avail the facility of ferry or peddle boat to wander in the lake. We hired two 2 seater peddle boats for four of us. 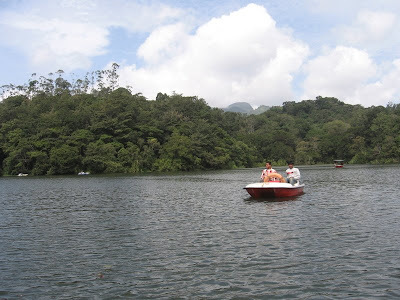 Pookot lake is one of the best places to spend your time in Wayanad with greenery all around and you in middle of the lake. Far away from the lake shore, there are lotus plants and there is a strict instruction against plucking of lotuses from there. 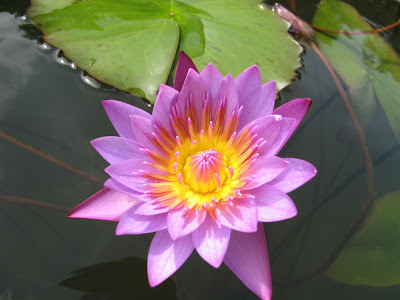 Well, we captured lotuses in our cameras soon. 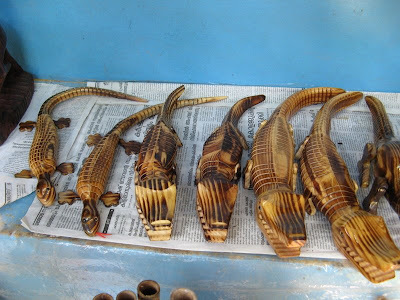 In Pookot lake premises, there are shops selling Kerala craft, wooden carvings and lots of other decorative stuff. We purchased some wooden carvings after a ride in peddle boat. 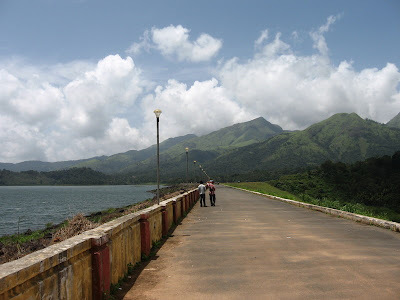 Time was around noon and we had reached our next destination Banasura Sagar Dam, the largest earth dam in India. This dam has facilities of motorized boating. Water contained in the dam had created artificial islands. These can be seen when you are cruising in the boat. Half an hour drive in the boat refreshes you quite a lot with you catching the glimpse of mountains in the backdrop of the dam, clouds towering over it and well, the artificial islands in the middle. Besides the dam, small park is being set up. Surprisingly though rainy season, it was really hot and we spent some time in the greens of the park. After giving some attention into the mechanics of the dam, it was time for lunch. Mananthawady was the next town we stopped for lunch before reaching our last stop in the trip itinery, Kuruva Island. 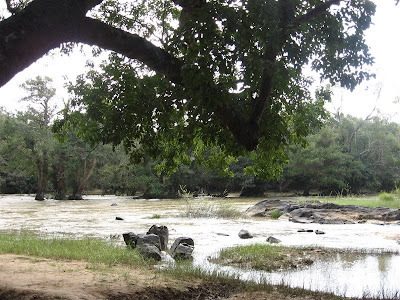 Kuruva Island is at a distance of 17kms from Mananthawady. Though till this time all the roads in Wayanad district wherever we went were in smooth condition, road leading to Kuruva Island was in pathetic condition. Anyhow, when we reached the natural island formed by Kabini river it was 3 pm. One had to travel to the island via boat and rowers' instruction for us was to come back by 4 30 to the point they had left us. This island is a place for rare species of birds, orchids and herbs, they say. Not well versed in Botany or in Zoology, it did not make much difference to us and we thought it as an ideal picnic spot to spend a day. The most common variety of flora, we could identify was bamboo tree which was abundant there. The island is not single entity rather a collection of small islands. 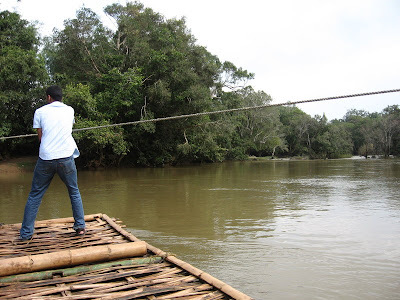 After reaching the main island we crossed to the other island via raft made up of bamboo sticks with the rafter pulling the rope tied across the trees of river banks on either side to negotiate the river current. 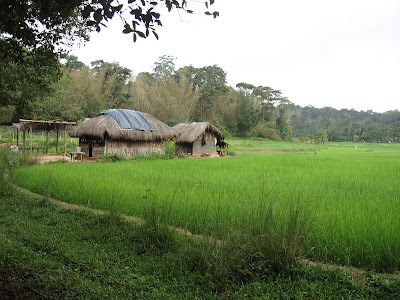 This place is inhabitated with paddy fields, tree top huts, shops to prove that. After spending some time here, we were back in the original island and started wandering there at about 4 thinking we can reach the initial entry point well before the dead line of 4 30. But even after walking, talking theories of shortest path algorithms, we were no where near to where we started and all seemed lost in panic and it was already 5. More details can be found in Nidhi's blog. Finally at about 5 15 we reached the starting point. Leaving behind north Kerala tourist destinations, the route we took to reach Mysore via Nagarahole forest was the first big mistake we commited in the entire trip. We were in search of asphalt road which was non existent. 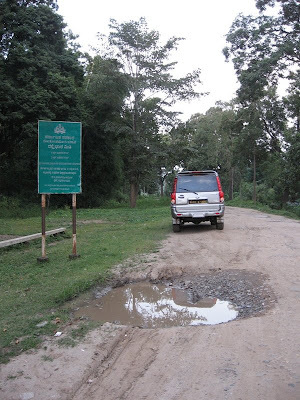 When enquired the locals, it was told that it was more than 30 years now that the road was in such a condition! Nearly 20 km road full of ups and downs, full of potholes slowed down the speed of odometers. Big 92.7, Mysore was our constant companion during this time of distress. To call and make them aware of the road condition here, all the mobile phone networks were down. Well, to our delight in middle of the jungle, we saw herd of bisons crossing our way. After travelling distance after the Nagarahole forest, we were back in best of the roads. Reaching Mysore at 9, we were crusing to Bangalore, carrying back home sweet memories of Wayanad. Nice blog & Photos. Hey, would like to share my experience of my travel to Kannur. I stay at Bangalore and decided to enjoy the scenic beauty of KERALA by visiting, Kannur and Wayanad. RingCab.com [ http://www.ringcab.com ] , helped me to realise my dream. They are amazing, too customer friendly, thought of sharing good useful info my fellow travellers.